Today’s column shines a spotlight on the next major experiment proposed to be built at Fermilab: Mu2e. The recent P5 report placed Mu2e first in line for construction among major projects, to be followed immediately by the high-luminosity LHC and then by LBNF. The Mu2e project took a big step forward two weeks ago when DOE approved the CD-3a step in the construction process. Until now, the team had been focused on the development of a detailed design for the experiment, including modifications to the Fermilab accelerator facility and a new hall to house the detector. CD-3a approval means that the team can purchase 45 miles of custom-made superconducting cables for the experiment’s solenoid magnets. Mu2e stands for muon-to-electron conversion, which tells you exactly what the 155 scientists working on the experiment will use it to search for. The collaboration has spent five years designing a sophisticated apparatus that will be used to search for the spontaneous conversion of muons into electrons in the vicinity of an atomic nucleus. 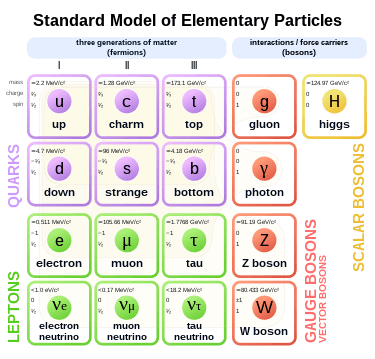 While there are many predictions for how this conversion could happen, none are included in the Standard Model of particle physics. So if the conversion is detected, it’s a clear signal for new physics. The experiment’s complex magnet system uses four different types of superconductors that required a year of R&D to develop, including an exhaustive series of tests both at vendors and at the lab. It will take two separate vendors over a year to fabricate all of the conductor required, so the DOE’s approval of this long-lead procurement will allow the experiment to accelerate its schedule to be ready to take physics data in 2020. Mu2e is proposed to join the Muon g-2 project on Fermilab’s new Muon Campus, making excellent use of the muon beams that our accelerator complex will provide starting later this decade. Congratulations to Ron Ray for leading the project team through a successful CD-3a review and to the Technical Division for carrying out the conductor R&D under Mike Lamm’s leadership, with Vito Lombardo heading up the quality assurance work. And thanks very much to the whole collaboration for their work to define the science requirements that drive the experiment, which P5 has recognized as of critical importance for our field. By tapping into specialized knowledge around the world, the Mu2e collaboration will undertake a first-of-its-kind experiment. Read the full article to learn about this ingenious device. 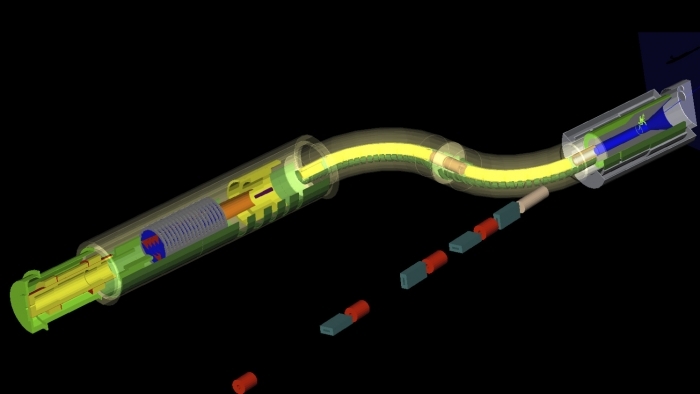 Fermilab’s http://mu2e.fnal.gov/experiment is unlike anything ever attempted. So when the collaboration needed a first-of-its-kind magnet prototype built, they turned to an institution known for its magnet expertise: the Genoa section of the Italian Institute for Nuclear Physics, or INFN, located in the University of Genoa in Italy. Earlier this year, INFN-Genoa became the sixth Italian institution to join the Mu2e collaboration, which now sports more than 150 members from 28 labs and universities in the United States, Italy and Russia. 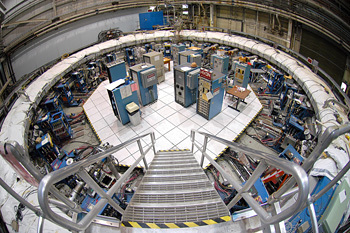 The team of magnet experts there has decades of experience working on high-energy physics experiments—they helped design and build magnets for BaBar at SLAC and, more recently, the CMS detector at CERN. Now they’re putting that knowledge toward building prototypes of the years-in-development magnets that will be used for for Mu2e, an experiment intended to study whether charged particles called leptons can change from one type to another. According to Doug Glenzinzki, the deputy project manager for Mu2e, the experiment’s goal is to narrow down the possibilities for completing physicists’ picture of the universe, by amassing evidence for one theory over others. It turns out, Glenzinski says, “charged lepton flavor violation”—the phenomenon Mu2e is being built to study—is a powerful way of discriminating between possible models. Seeing this violation would also open up new questions about a theory of nature that has stood for 80 years. In short, this experiment could point the way toward the future of particle physics. Last month, members of the Technical Division conducted final tests on the first batch of prototype superconducting cable for the proposed Mu2e experiment. The cable met every prescribed benchmark, carrying over 6,800 amps of electrical current — well above its design current — at 4.2 Kelvin in a magnetic field of 5 Tesla. This aluminum-clad niobium-titanium superconductor is a critical component of one of Mu2e’s three magnets, the transport solenoid. 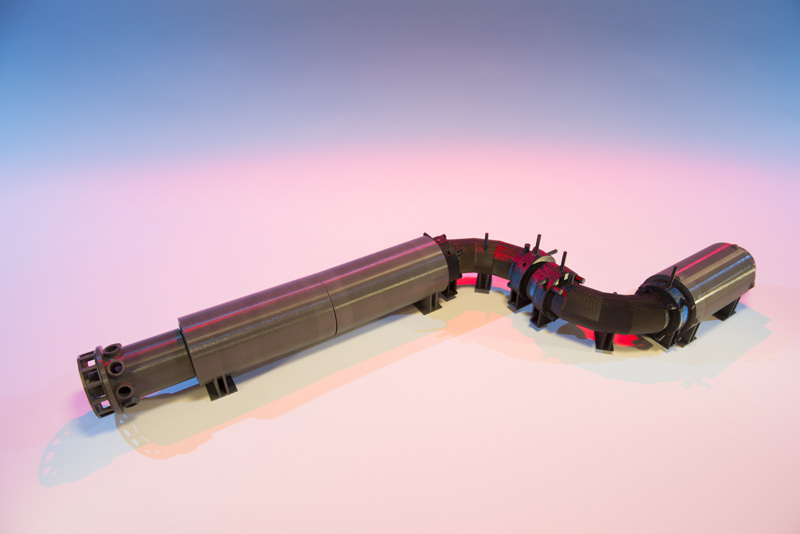 As the name implies, the transport solenoid will help transport a beam of muons from its production source to the detector, where scientists will study the particle interactions. Having met this milestone ahead of schedule, members of the Superconducting Materials and Magnet Systems departments will march ahead with the other three superconducting cable prototypes for Mu2e: one for the production solenoid and two for the detector solenoid. They plan to complete the cable prototyping stage in a few months’ time. As researchers across the United States—and around the world—plan two new supersymmetry-hunting experiments to be located at Fermilab, symmetry writer Joseph Piergrossi sat down with collaborators from Boston University to learn more about the projects’ goals and history. 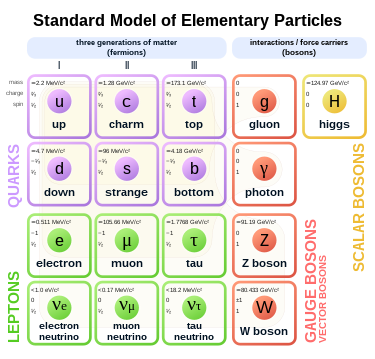 “With the Muon g-2 experiment, scientists aim to discover signs of subatomic particles and forces that have eluded detection by other experiments. It will be more sensitive to virtual or hidden particles and forces than any previous experiment of its kind. The Mu2e experiment will test a fundamental symmetry of the quantum world. Muon g-2 (pronounced g minus two), the first experiment to be installed in the new Muon Campus at Fermilab, has its roots in a muon experiment of the same name that ran from 1997 to 2001 at Brookhaven National Laboratory. ‘The muon is very sensitive to the hidden presence of new physics,’ says Lee Roberts, professor of physics at Boston University and co-spokesperson for the Muon g-2 experiment. The Brookhaven Muon g-2 experiment had its inception in 1982, when Yale physicist Vernon Hughes suggested an experiment to measure the magnetic dipole moment of the muon 20 times better than previous experiments run at CERN in the 1970s. He and Roberts were the co-spokespeople for the Brookhaven project and headed the design of the experiment, which eventually involved scientists from 14 institutions in five countries. Boston University has had a major stake in the Muon g-2 experiments at Brookhaven and now at Fermilab. 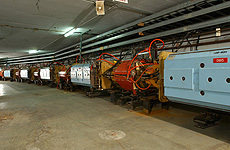 In the early 1990s, the university provided the facilities to construct many important components of the muon ring. It was one of a half dozen institutions that ‘played a crucial role’ in the experiment, says Brookhaven’s Bill Morse, former resident spokesperson for the Muon g-2 project. “Fermilab’s plans for creating a Muon Campus with top-notch Intensity Frontier experiments have received a big boost. The Department of Energy has granted Mission Need approval to the Muon g-2 project, one of two experiments proposed for the new Muon Campus. The other proposed experiment, Mu2e, is a step ahead and already received the next level of DOE approval, known as Critical Decision 1. “On Sept. 30, the CDF and DZero experiments at Fermilab recorded their final particle collisions. Now technicians and engineers are busy preparing the two buildings that supported the collider detectors to accommodate future uses, while preserving the two particle detectors and their control rooms for educational tours that will be offered starting in the fall of 2012. The 36,000-square-foot CDF assembly building, including its 50-ton crane, will become part of the Illinois Accelerator Research Center. Groundbreaking for the main IARC building, which will rise right next to the western side of the CDF building and connect with it on several levels, will take place on Dec. 16. While the IARC is under construction, the Particle Physics Division will use the east side of the CDF building for detector development and construction, including work on the Mu2e experiment. The CDF collaboration will continue to operate computers on the third floor for the analysis of CDF data. A portion of the DZero building will serve as an assembly area for the 170-ton detector of a new Booster neutrino experiment called MicroBooNE, while the DZero collaboration continues to use the complex as its home base. ‘Space in the high-bay area of the DZero assembly building will be ready for use by the MicroBooNE collaboration by the middle of January 2012,’ said George Ginther, a manager of the DZero decommissioning plans. The assembly of the MicroBooNE detector and its liquid-argon system will take about a year. When complete, the equipment will be moved into a new building in the Booster neutrino beam line. At CDF, the clearing out of the building is in progress.